Our San Diego website design team of experts at Rosemont Media® and a San Diego business attorney have teamed up to create a new site that utilizes a streamlined, user-friendly approach for visitors looking for help with complicated legal matters. 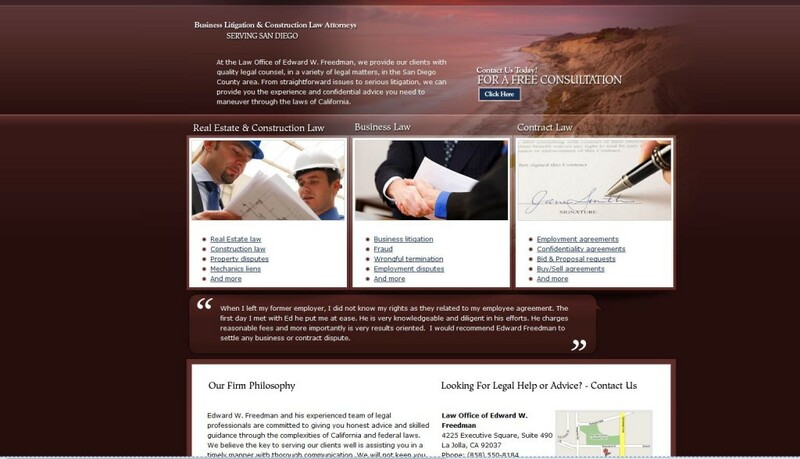 www.lawofficeofedwardwfreedman.com is the virtual representation of the practice of Edward W. Freedman, an attorney specializing in business, contract, real estate, and construction law. The site starts with a beautiful graphic design framework and continues with a simple navigation and pages describing Mr. Freedman’s philosophy and the services he offers. Complete with pages devoted to client testimonials, case results, and an updated blog, the website provides visitors with a useful tool to determine why Edward W. Freedman may be the best choice to counsel them in legal issues and disputes. 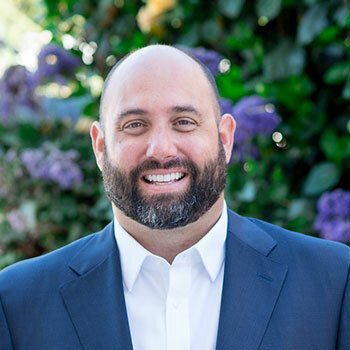 Mr. Freedman prides himself and his practice on honest communication with clients from the initial free case review to the resolution of their case, giving them early appraisals of fees involved and working toward quick, cost-effective results. Rosemont Media® welcomes to the web www.lawofficeofedwardwfreedman.com!